Is it coming to an end so soon?? It’s time for my FINAL task! The last thing I have to do in Krokotopia – face Krokopatra! 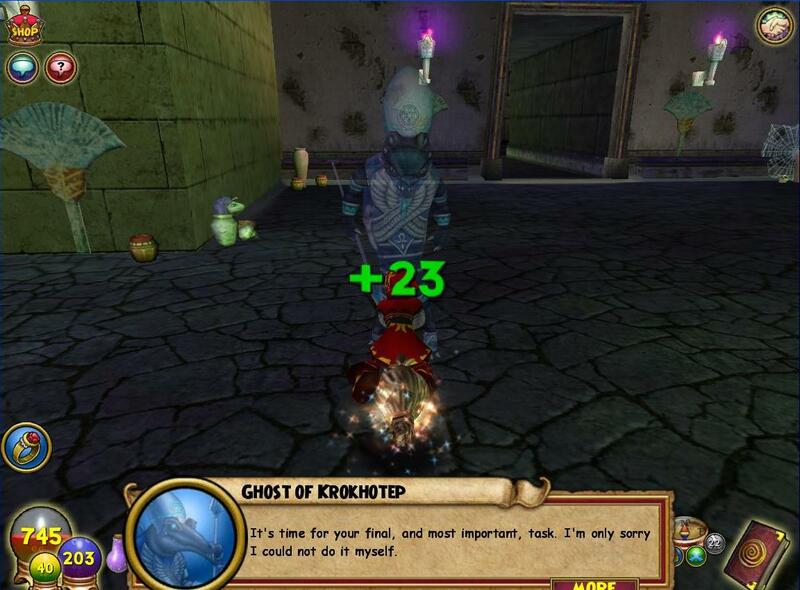 Part of me is very excited, while another part of me feels a kind of melancholy, as I’ve been battling in the tombs and temples of Krok for so long it almost feels like a second home… I do plan on taking a bunch of video of my final assault on Krokopatra, so stay tuned for that! I have no idea what I’m facing but I’m sure it will be epic! Where does this teleport pad go? This entry was posted on July 21, 2010 by dittowizard. It was filed under Wizard 101 . 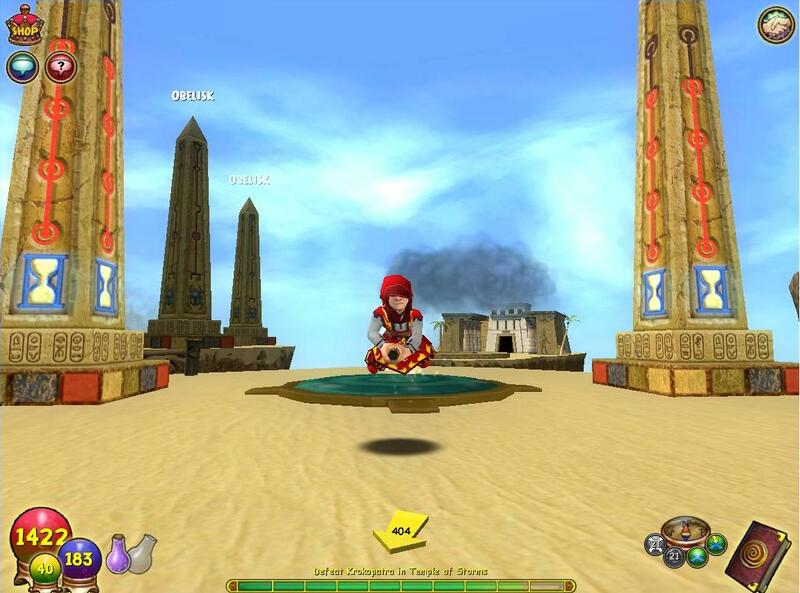 That teleport pad, leads to Krok’s Secret Shop, on top of that building, you may also find a hidden trainer. I also would like to wish you good luck on your adventures. I figured out how to get the Secret Shopper badge easily. You go in the store and then go out and then go in again. Repeat this until you get the badge! It worked for me. Thanks so much Gabriel – I will have to check that out now!! Yay, more stuff to do in Krokotopia!! You use that teleport pad to get to a store that is otherwise unaccessible. You can’t trigger the teleport, it will activate and deactivate by itself, over time. In your picture, you can see that above the hourglasses on the oblisk, there are red lines and cirdles. All but the top set are glowing red right? Guess what happens when that last set on top glows? 🙂 Some people change realms to find one where the pad is active. Other than that, it’s just a matter of waiting. Yes, I also forgot to mention what Blaze said. There is also a myth spell teacher on the roof of the shop. Good luck! Remember, we’re always there to help you, no matter how annoying/hard/frustrating Marleybone gets.